Lonza has enhanced its range of Poietics™ Human Bone Marrow-Derived Mesenchymal Stem Cells (hMSCs) by expanding the characterization of these cells to meet industry guidelines for translational and cell therapy research applications. The newly enhanced Poietics™ Human MSCs help to ensure that researchers start their experiments with a high-quality starting population of multipotent stem cells. This robust starting population is critical for translational research and a number of other applications where stem cells can play a vital role, including gene therapy and transplantation, cell differentiation and cell-based screening assays (such as those commonly employed in drug discovery labs). The improved hMSCs are part of a portfolio of cell culture products that form a streamlined workflow specifically optimized to deliver accurate and reliable results, encompassing Lonza’s primary adult stem cells, growth and expansion media, differentiation kits and cell-based assays. 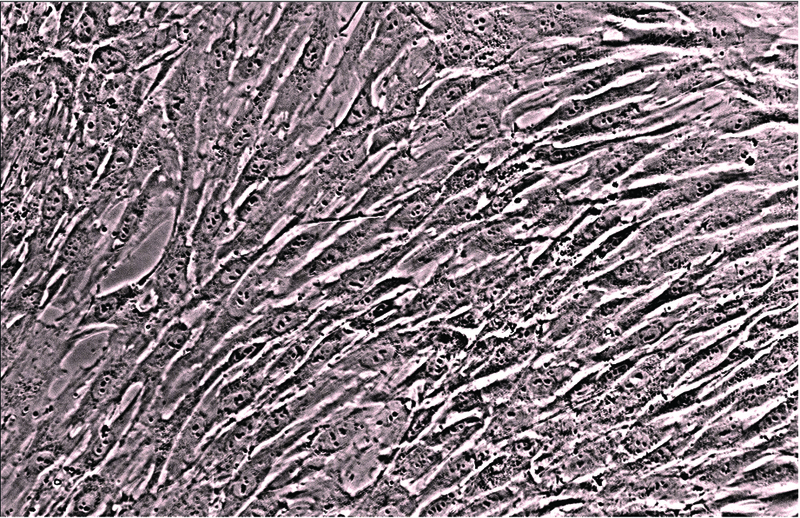 hMSCs are highly useful cells because of their versatility. They are capable of replication as undifferentiated cells and can also differentiate into bone, cartilage, fat, muscle, tendon and marrow stroma. Lonza’s hMSCs are quality tested to differentiate into adipogenic, chondrogenic, and osteogenic lineages when cultured in the recommended differentiation medium. In accordance with the 2006 International Society for Cellular Therapy criteria, Lonza’s hMSCs are now tested to ensure the expression of CD90 and CD73, as well as confirming the absence of HLA-DR and CD19. The cells also express CD29, CD44, CD105 and CD166, and do not express CD14, CD34 or CD45. All cells are free from mycoplasma, bacteria, yeast and fungi, and all donors and/or cell lots test negative for HIV-1, hepatitis B and hepatitis C. In addition, a certificate of analysis is provided for each cell lot purchased.